Common Knowledge is a new monthly series that offers a space of exchange for ideas, knowledge and experience supporting your creative entrepreneurship. It connects you to other creative makers and non-makers, and boosts your professional skills through workshops, discussions, lectures and presentation evenings. Every month from September 2013 until June 2014, Common Knowledge will present an event based on a variety of subjects. Each time the topic focuses on a different aspect of creative entrepreneurship and its usefulness for creatives. The events always end with a drink and the opportunity to meet other creatives. The first edition of Common Knowledge on 26. September 2013 kicks off with six presentations by young art and culture professionals who will share their work experience and current projects. Using their creativity and drive to set up cultural projects, they represent different ways of working in the cultural field and can inspire others with their ideas. Also, the presentations will show different forms of entrepreneurship. 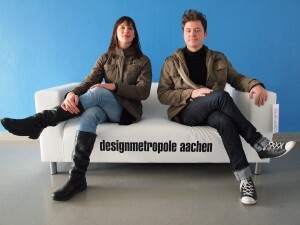 The Designmetropole Aachen is a loose network of artists from different disciplines. Based in Aachen, Germany, they operate in the whole (Eu)region, showing innovative ways of working together for ideas and projects, thereby crossing disciplines and language borders. They see a huge potential for design in this region and continue promoting it with their projects and cooperations. Designers analyse, experiment and think in strange ways and might make a good idea a success. Might turn an invention into a successful innovation. Designers are the link between research and business. 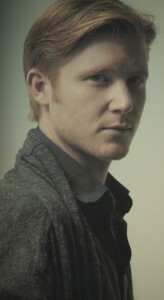 Guus van Engelshoven is a writer, editor and curator. He works with artists, private collectors, cultural institutes and governmental agencies. He lives and works in Amsterdam and Maastricht. Since 2011 he has been working as a freelance writer, editor and curator for various individuals and institutes in the Netherlands and abroad. His clients include Marres, House for Contemporary Culture; Bureau Europa; DutchCulture; SALON/; Bonnefantenmuseum Maastricht; Design Academy Eindhoven; FRAC Nord-Pas de Calais; several independently working artists, photographers and designers; and a number of private collectors in the Netherlands, Germany and Belgium. Guus works on the fault line where the language of art meets the art of language. ABABA is a concept by Mothership and executed by Galerista Sophie Bargmann in Rotterdam; The House of Ababa goes a step beyond traditional galleries. ABABA is a new art store that has a low threshold and is meant for all budgets. A place that is welcoming and invites you to just browse through the store. ABABA presents art in an unconventional way that inspires, provokes and stimulates at the same time. Where art with price tags is displayed in the window, where established artists are exhibited right next to new talents and where prices can range from 50 to 50.000 euro. ABABA presents art in an unconventional way that inspires, provokes and stimulates. As a multidisciplinary artist she creates alternate and naive sculptural realities. Since 2008 she also develops exhibitions as curator. Marie aims to connect people with diverse ideas. 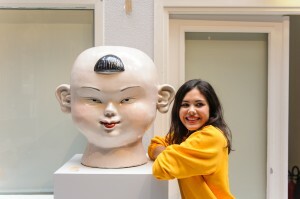 She does this for example as co-founder of BohV – Beelden op het Vrijthof, an organization that strives for the confrontation between art and a mass audience during exhibitions on the Vrijthof in Maastricht. I get a kick out of reality. That’s why I want to experience it as much as possible. Amber-Helena is a writer of prose and poetry and lives in Amsterdam. She is under contract with Uitgeverij Prometheus/Bert Bakker for a collection of poems and a novel, both appear next year. She gives lectures throughout the Netherlands and Belgium, sometimes in formation with artist collective Hongerlief. In addition, she organizes and presents literary events. From the January ,1st, 2013 she became city-poet of her hometown Heerlen. Tim Rutten is co-founder of Video Power. 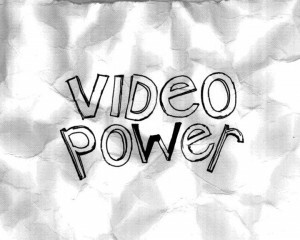 The video power foundation is a disruptive initiative stimulating the creative production of audio-visual material. By working together with a broad network of partners in the region, by connecting talent(s) with available knowledge and production capacity and by stimulating and facilitating entrepreneurship. In the first episode six arts and culture professionals from different fields share their work experience and current projects. Using their creativity and drive to set up cultural projects, they represent different ways of working in the cultural field and can inspire others with their ideas. The first event will take place in the Belvedere Offices at Boschstraat 24 in Maastricht.